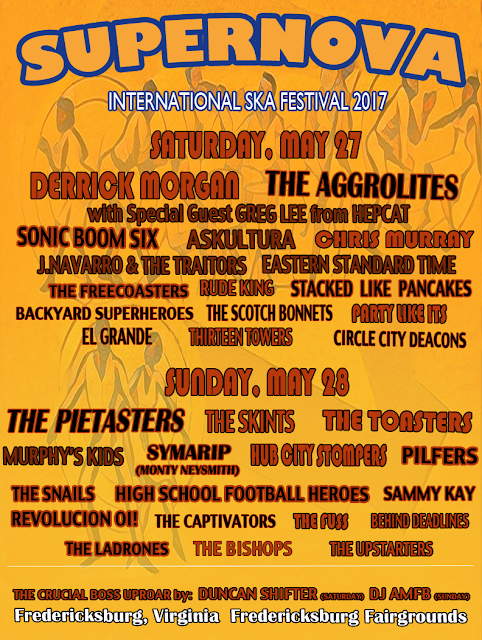 Memorial Day Weekend: Supernova International Ska Festival! 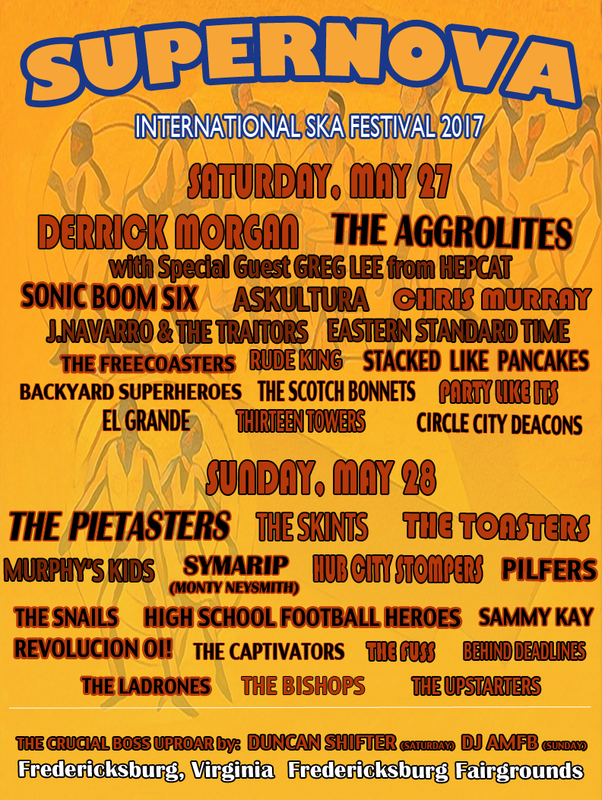 As many of you are already aware, there is a big, two-day ska fest coming up over the Memorial Day weekend--the Supernova International Ska Festival in Fredericksburg, VA (which is about an hour or so south of Washington, DC). There are many top acts that don't make to the East Coast with much frequency (if at all), like Derrick Morgan, The Aggrolites (with Greg Lee of Hepcat), Sonic Boom Six, The Skints, Monty Neysmith--and there are tons of amazing acts always worth seeing, including The Toasters, The Piestasters, Pilfers, Askultura, Chris Murray, Hub City Stompers, J. Navarro and the Traitors, Eastern Standard Time, The Scotch Bonnets, The Ladrones, The Bishops, The Snails, Sammy Kay, and more! Check out who's playing which day of the festival on the graphic below. All other details are on the festival website, which includes a handy festival FAQ page. There's also a (now sold-out) Friday night pre-festival party with Jump Up Records at the Spencer Devon Brewery, where they'll be screening the Legends of Ska movie (with filmmaker Brad Klein present), a CHema Skandal poster show, a Jump Up Records pop up shop, and DJ sets by Chuck Wren, Sonido Triton, and Darren Reggae! No cover, but bring $ for when we pass the bucket. Help Save the London International Ska Festival! 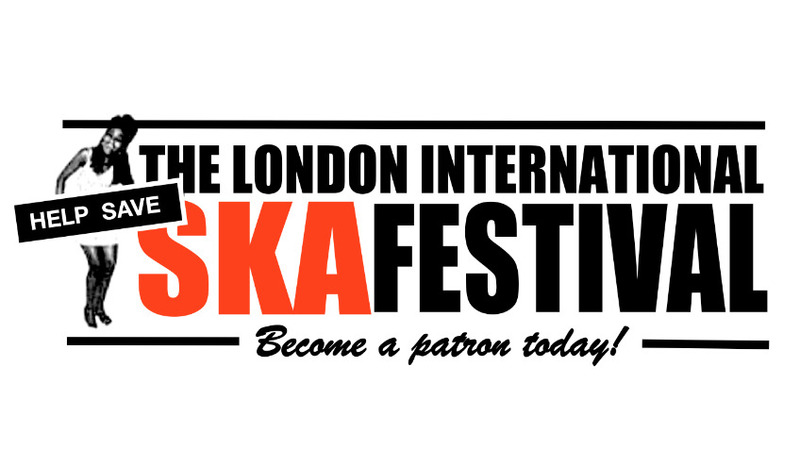 Save The London Intl Ska Festival - Become a patron today! My name is Sean Flowerdew. I founded and run The London Int’l Ska Festival. Since it's launch in 1988, I have strived to create an unique and world class event, that does justice to the world of ska, rocksteady, reggae, 2 Tone and beyond. I’m honoured to have hosted hundreds of bands and DJs at some of the best venues London has to offer for 29 years! Year on year, the festival grows and attracts more people from all over the world. It has always astonished me that someone would fly from another continent for a weekend. It is truly fantastic to see so many international friendships, relationships, marriages and even families be born out of our festival. Sadly, it has become increasingly difficult to single handedly maintain the festival. A couple of bad financial years for the festival in 2011 and 2012 set me back personally by tens of thousands of pounds. Since then any profit just pays off past years debts. To make matters worse, what is a full time job can never provide a wage. I love the festival. I love programming it. More then anything I want to keep the festival going and want it to grow in the way I know it can, but personally carrying debts year to year, which are now in excess of £79,000, has taken it’s toll. It has become impossible to fund the festival solely by myself. To keep the London Intl Ska Festival not only alive, but continuing to thrive, I need to clear the debts. I have thought long and hard about seeking companies to invest or getting sponsorship but I know this would change the nature and integrity of what is a truly independent festival. 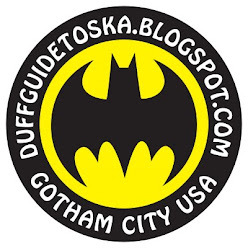 So, I’m reaching out to you, friends of the festival and fans of all things ska. I need your help. Today I am launching a patron scheme, whereby you can support the festival and ensure it’s survival and growth. I'm not asking for donations (although anything helps). I'm asking you to become part of the festival and invest in it. For now, we’ve come up with four ways of supporting our festival, all based around becoming a patron. Not only do your your money, but you can sleep happy in the knowledge that you've become part of, and supported what is a vital and historical festival. Every little bit helps--a this level you will receive the newly launched Help Save LISF pin badge. Price includes postage anywhere in the world. For this your name will be listed in the 2018/30th Anniversary Ska Festival book & you will receive a set of our 6 exclusive football team postcards. For this your name will be listed in the 2018/30th Anniversary Ska Festival book. You will also recieve a set of our 6 football team postcards and an exclusive screen printed t-shirt, designed by Peter O’Toole. For this your name will be listed in the 2018/30th Anniversary Ska Festival book. You will also recieve a set of our 6 football team postcards and an exclusive screen printed t-shirt, designed by Peter O’Toole. AND a wristband ticket to The London International Ska Festival 2018. The wristband ticket will get you into all the 2018 festival events. The London Int’l Ska Festival 2018 will take place next Easter (29th March-1st April). If you can, please help us to celebrate our 30th Anniversary in the style we’ve all become accustomed to. Thank you for reading and thank you for supporting! 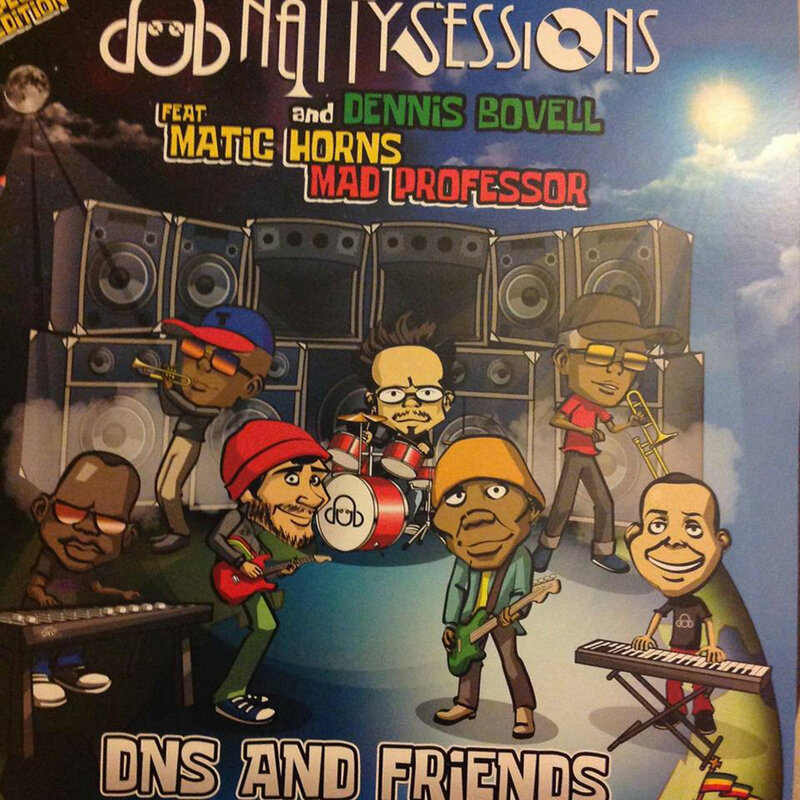 Dub Natty Sessions and Dennis Bovell featuring Matic Horns and Mad Professor DNS and Friends (CD/digital download, available through Bovell's Old School Records, 2017): This is the second release from this Venezuelan, now UK-based roots reggae act Dub Natty Sessions. 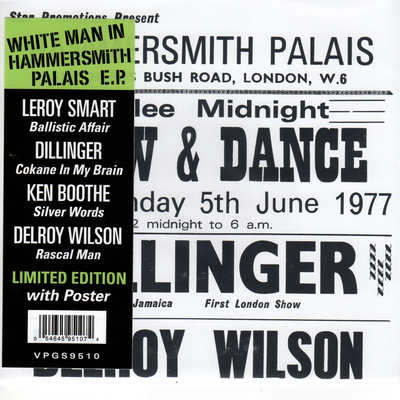 Their debut was mixed and produced by Bovell who makes a repeat appearance, this time on bass and behind the boards at Mad Professor's Ariwa studios (the Professor mixed the album). 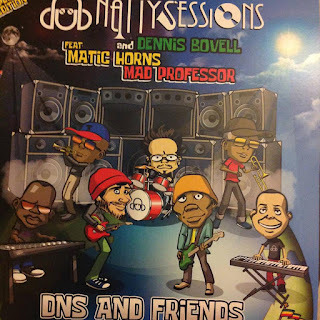 DNS and Friends is filled with catchy and dubby reggae instrumentals (featuring all the expert touches one expects of Bovell and the Mad Professor) that achieve real brilliance on tracks like "Un Amor" (which sounds like it could have come off Rico's Jama Rico) and "Plantation" (that recalls Bovell's incredible work with The 4th Street Orchestra). While Dub Natty Sessions lay down some seriously good and enjoyable grooves, their secret weapon on this album is the majestic Matic Horns (Bovell's Matumbi bandmate Henry “Buttons” Tenyue on trombone and Aswad members Eddie "Tan Tan" Thornton on trumpet and Michael "Bami" Rose on sax), who are put to amazing use here. Andy Cox (behind Saxa), Dave Wakeling, and Everett Morton. 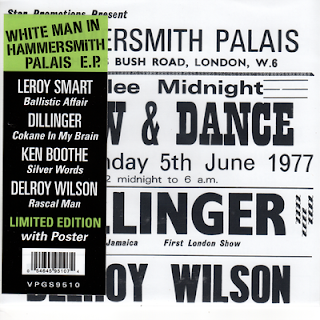 From the opening notes of The Beat's 1979 debut single for 2 Tone (their incredible cover of Smokey Robinson and the Miracles' "Tears of a Clown") through to the closing, lingering sounds of "Ackee 1-2-3" (from the last track on their third and final studio album, Special Beat Service, released in 1982), Saxa's exuberant, lush, and free-flowing tenor saxophone horn lines were integral to the band's music (providing a relaxed, improvisational contrast to the tightly wound, bullet train of a rhythm section)--giving The Beat a distinct and instantly recognizable trademark sound that managed to bridge the opposing energies of dubby reggae and punk-fired late '70s British ska. 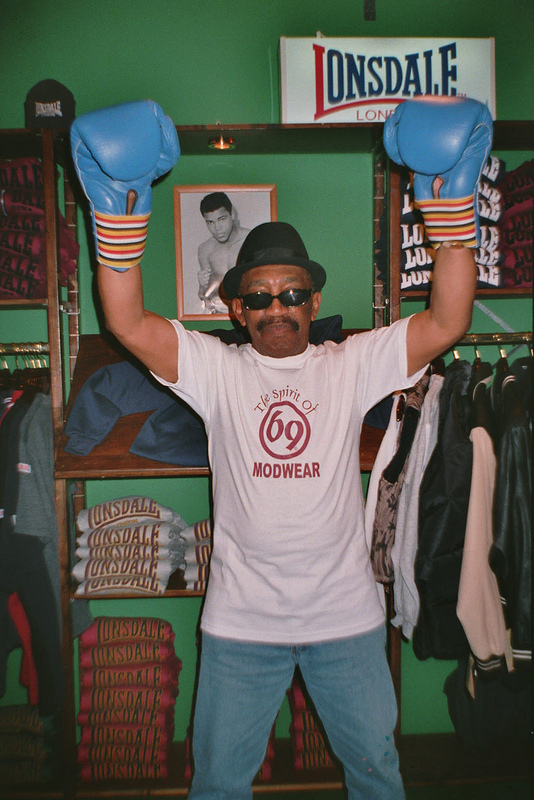 Born Lionel Augustus Martin in Jamaica on January 5, 1930, Saxa performed with fellow JA ska superstars like Prince Buster, Desmond Dekker, and Laurel Aitken (and later backed Elvis and The Beatles). Already 50 by the time he was recruited to join The Beat (having emigrated to England 25 years earlier), Saxa not only contributed his prodigious musical talents to the band, but lent the upstart ska revivalists immediate legitimacy through his participation in the first wave of ska with the aforementioned '60s ska originators. 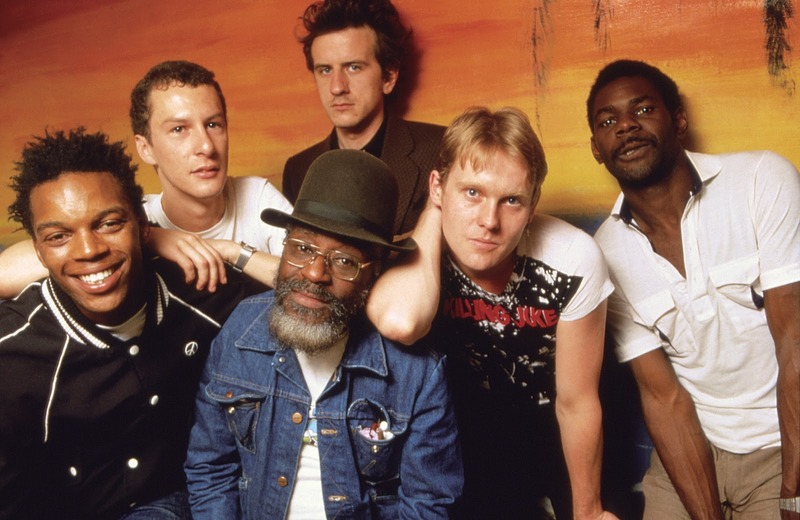 In Daniel Rachel's brilliant "Walls Come Tumbling Down: The Music and Politics of Rock Against Racism, 2 Tone and Red Wedge" (the best history of 2 Tone that you'll ever read), Ranking Roger recalled: "Days before we went into the studio [to record "Tears of a Clown"] we found Saxa. He was this old, loud Jamaican man that just got drunk all the time and was always aggressive and cussing and swearing. There must have been a good thirty-five years' difference between us but as soon as he blew that saxophone, baby, you'd shut up." Dave Wakeling added: "Everett [Morton] used to take us to the Crompton in Handsworth where Saxa played. He was the most mesmerizing saxophone player we'd ever heard. He played a couple of gigs with us and then said, 'I've been waiting all my life for you boys.'" After three phenomenal albums, The Beat split into General Public and Fine Young Cannibals, but Saxa continued working with both factions, appearing on studio recordings for both acts (and later recording and touring with the The International Beat and Special Beat). Saxa passed away on May 3, 2017 at age 87. The Beat's Special Beat Service was released in 1982 when I was 16 and was on heavy rotation throughout my high school and college years (it still remains an all-time favorite, along with all of the other original Beat albums). Saxa's riffs on all of these tunes are permanently engrained in my mind and I'm forever grateful for his extraordinary music and life. I offer my deepest condolences to his family, friends, colleagues, and fans.